A week ago I brought home the breeder queens for ease of grafting. They should at least have been treatment free last year (2013) and they should not have been a new colony 2013. The queen should be at least two years old. The colony could have been a new colony the year before (2012), or an old colony also then. It could have been a colony with an old queen that got shifted to a new one 2012 with an already laying one mated in a mini nuc. It could have been a failing colony due to varroa 2012, so it got some treatment then, queen removed and a mature queen cell. It could have been a walk away split from a strong overwinterer 2012, the split making its own queen. The colony is now, compared to the rest in the apiary, a strong colony, very little of dead bees in front of the hive, no signs of varroa problems, good tempered, at least above average in honey crop in 2013. The brood area is on three 12 frame shallow boxes. Most probably the queen is in the upper third box. Sometimes though in the lowest first box. Using no smoke not top drive down the queen I carefully lift off the supers to the side, put the upper third box on a closed bottom, the same procedure with the second box. Then I check the second box (or the upper third) for a broodframe with small larvae or eggs to make a queen from for the bees. I put in in the first bottom box that will be left on the stand. I have not checked for the queen. I know where she is, in one of the three boxes. I check the bottom box for brood. If there is very little brood, I take a brood frame from the upper third box as well. I just exchange the frames, take an empty frame from the bottom and put in the whole from where I took the broodframe. If the bees are lively and fly a lot, which they shouldn’t as they are choosen for breeders, I have to be quick and put on the ventilated cover and strap the boxes to be moved to my home apiary. Both the taken boxes will be moved home. Most probably the queen is in one of them. It will show up quite quickly. Now there is one brood box left on the old stand, could be without food frames as it was the bottom box. So I take a couple of food frames from my storage from removed food frames from last autumn which I took from colonies that were maybe a little weaker not filling up the three boxes and that were heavy of stores. They got insulation dummy frames at the sides instead. Those food frames I put at the sides in a new box and then fill up with empty drawn combs. This box I put under the brood box left. Then the queen excluder with the supers on top, now lifted back. 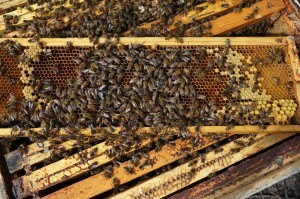 If the queen should be left here I will exchange those two brood boxes with one of the splits taken home. It has almost never happened. Those queenless splits will make a new queen, and most probably not swarm with a virgin if left alone, as they are weakened (and from a breeder colony). When I come home I put the splits with a similar made box underneath the split, if needed with food frames. It’s good to give them even if it’s no food crisis as they will not have many field bees, and especially the one with the queen will use the stores for brood. The one with queen will be calm. The one without will usually be more nervous looking for their missing queen. 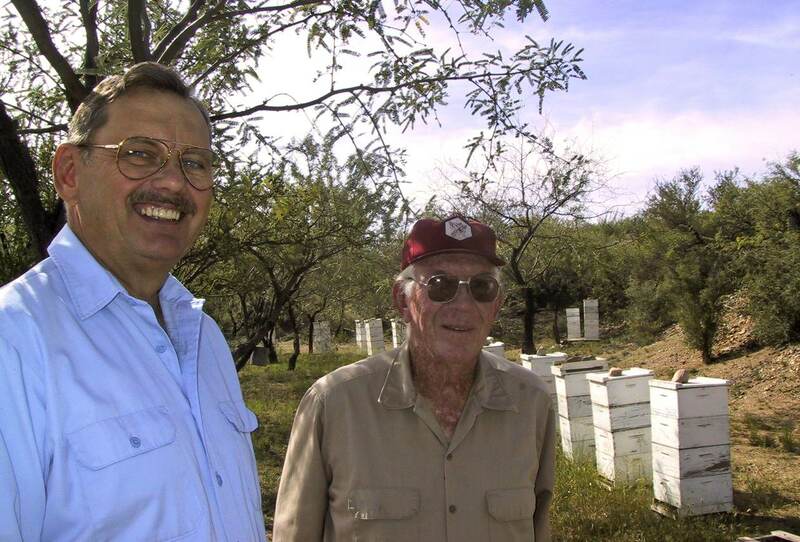 Dr Eric Erickson did a great job in the 1990’s in Arizona together with A.H. Atmowidjojo and Lenard Hines (commercial beekeeper with 700 colonies), first showing it’s relatively easy to identify more resistant bees and to maintain and develop a more resistant stock of bees without regular use of miticides. In American Bee Journal, vol 138, no 11, 1998, they published their first article on this subject Can We Produce Varroa-Tolerant Honey Bees in the United States? 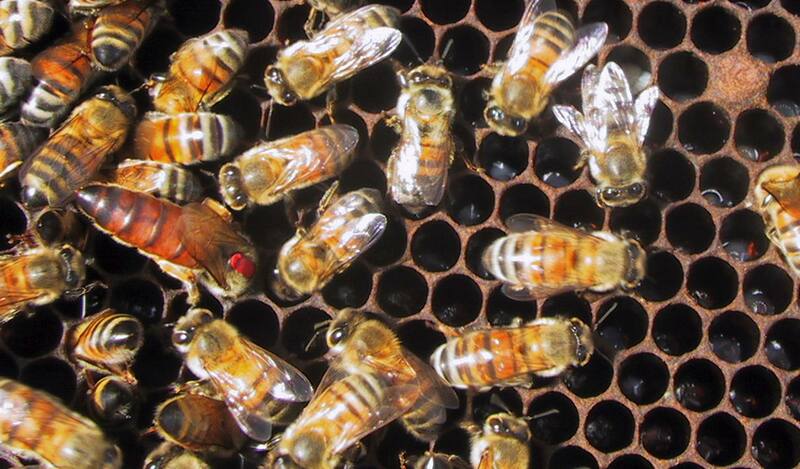 The second article in ABJ, vol 139, no 12, 1999, Varroa-Tolerant Honey Bees Are a Reality. The third in ABJ, vol 140, no 8, 2000, with a headline like the one for this post. In 2003 I visited Erickson and Hines together with Norwegian beekeeper Hans-Otto Johnsen. Erickson had retired. 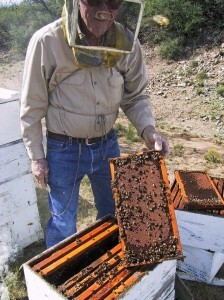 Hines were still working his bees but were significantly older than Erickson. At the Tucson lab they were focusing on an IPM-strategy against Varroa trying to identify natural compounds to be used as miticides. Since then I have never heard anything about the work mentioned here. Why? Though monitoring mite levels with alcohol wash identifying when to treat or removing a colony from an apiary which is used developing Varroa resistance is a method used frequently is such works, but not done the same way as Erickson, as far as I can understand. Yes, there are a growing number of beekeepers developing mite resistant bees. And there are other scientists, more than at the Louisiana lab? (thanks for those), that have been engaged, and are, in developing resistant bees (VSH and Russians). But have everyone forgotten about Erickson or why is his work ignored, or is it? Because there are Africanized bees in Arizona? Why would that be a reason for ignoring his work? Give a reason! Now, his work included 733 samples, representing 118,512 bees washed and counted to determine Varroa infestation levels. 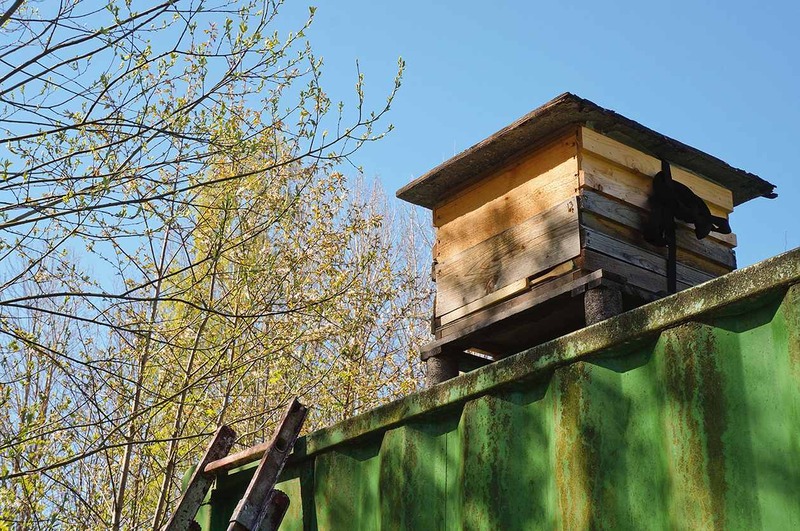 Number of colonies in the three isolated test apiaries ranged in total between 36 and 71, lowest in early winter and highest in late spring following replacement of winter losses. Varroa levels were ranging between 0 and 50 per hundred bees, samples taken every second month. In average 7. The mite genotype was the ’Russian’ type said to be more virulant than the ’Japanese’ type. All colonies were established in November 1995 and no colonies had been treated for at least 12 months at that time. When infestation rate was above 15 per 100 bees the colony was removed from the study and replaced by a colony with a daughter from one of the best colonies. 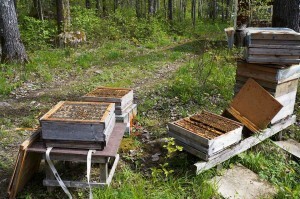 Those were mated in the center apiary. Hines shifted queens in all his colonies to ’program’ queens. They maintained the program population from Nov 1994 to at least July 1999. First sampling for Varroa levels in 1995. 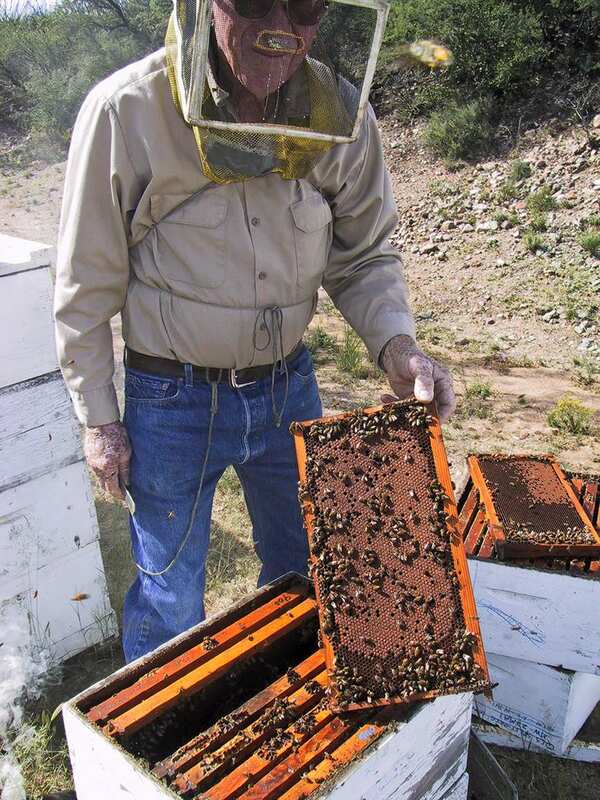 1998 was a good year and the three test apiaries averaged 90 pounds (40 kg) of honey per colony, which is a good crop in Arizona. 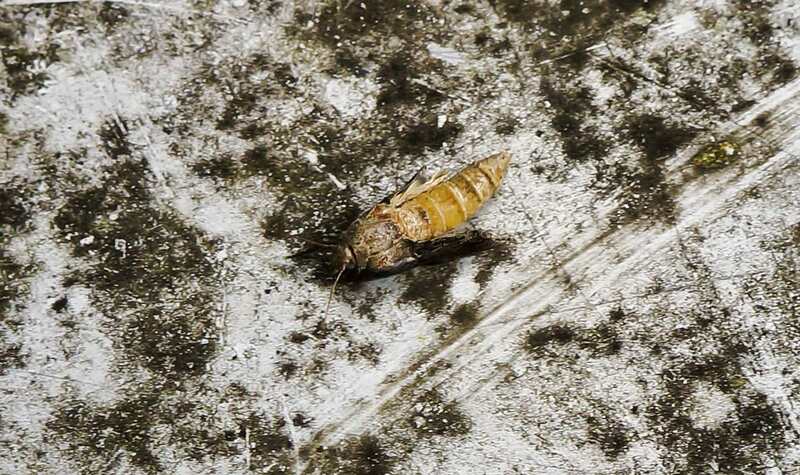 Hines said that after requeening with program queens in his entire operation he saw much less problems created by mites and in 1999 very little to zero indication of Varroa damage. 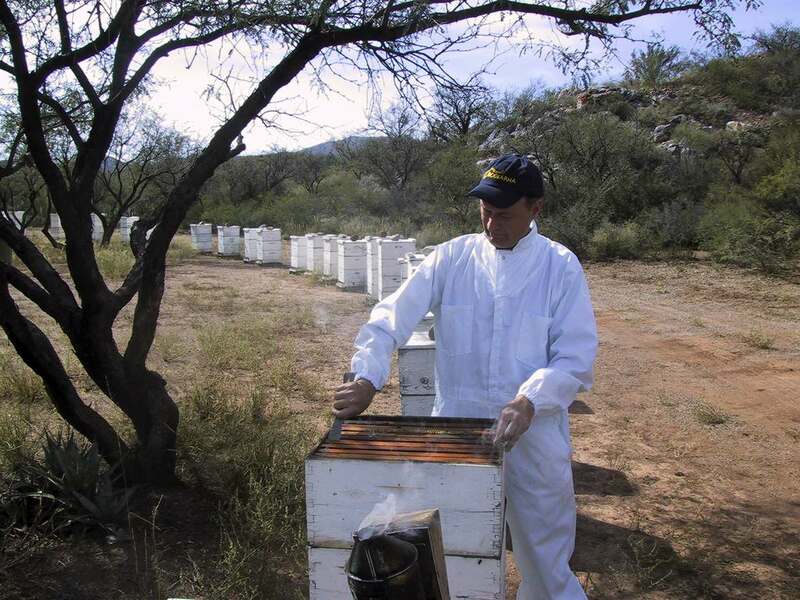 Concerning Africanization of the bees in Arizona the lab during two years studied nearly pure Africanized colonies in isolation and it found them to not be any less susceptible than the colonies in the selective breeding program. The earliest sources for the breeding program of more Varroa resistant bees were identified before the arrival of Africanized honey bees (AHB) to Arizona. They even found that a considerable number of AHB succumbed with Varroa damage appearing to be a major cause. In 1999 the program stock of bees consisted of colonies of both European and African descent and their hybrids. 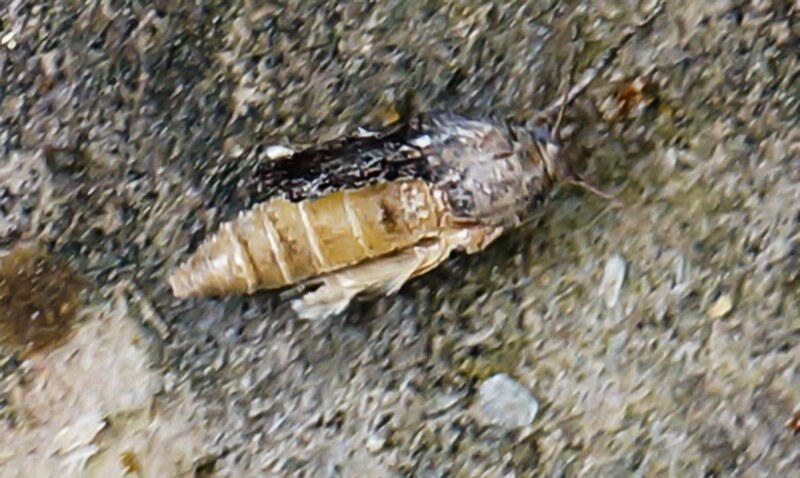 Lenard Hines continued to eliminate from the breeding program any queen whose progeny tended to be overly defensive, without regard for their ancestry. When we visited Erickson and Hines in 2003 the colonies were worked with normal amount of smoke and no gloves. No cloud of bees was around us and it was no problem having a chat after checking the colonies, without hat and veil. 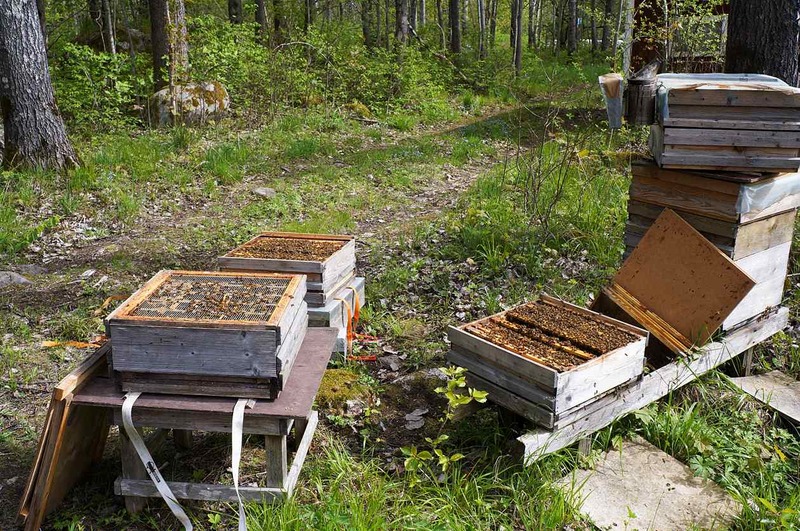 Erickson wrote that the lab was then in 1999 working to complete a three-step program to help beekeepers implement the results from this selection work into their own operation. 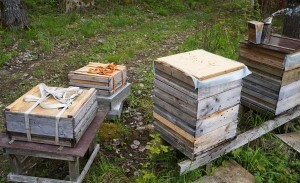 The three-step program consisted of 1) this selection method they used, 2) using brood combs with smaller cell diameters as a management strategy to further reduce Varroa infestations, and 3) the use of natural products as miticides in an IPM-strategy to faciliate transitions from pesticide-based mite control to Varroa resistant populations. Such transitions are encouraged to be made in an area with a plan to expand the area. You can today maybe see parts of this three step program here and there, but nowhere have I seen it described after the articles of Erickson in ABJ, why not? Has no one tried to get beekeepers to cooperate for this purpose? Is someone willing to fund such an effort, for example helping with federal/state/EU-money to breed queens and count mites and forming a coach group for beekeepers that want to decrease the use of chemicals and increase health and survival of their bees? Weather has turned to April when May arrived. Freezing nights and barely flying weather in days. But solar wax melter works, in the middle of the day. Though development of the bees have begun strong this spring. They have grown in size and they have a lot of capped brood and they are heavy of food. With me, the bees have developed their resistance to the varroa mite and thus the impact of viruses have decreased, of course with the help of the mild winter. If the weather turn a little better, queen breeding will start in 2-3 weeks, and splitting of hives making new, for increase and selling bees. Up till now 3-4% of the bees were lost during winter-spring, most of them to varroa and virus. 7-8% of the rest are struggling and given some thymol. A few of those will die, or the same as. Some of them will give a crop. Most of them will get a new queen. I have put up a swarm trap, after learning how to from Tom Seeley.